As we reported, the iPhone 4S will launch in Brazil this Friday, two months after its launch in the US. As if expectations weren’t big enough, mobile operators are now adding to the hype with marketing stunts to get people queuing all over the country. TIM was the first operator to offer the iPhone to its Brazilian customers, and as such is particularly interested in pushing the iPhone 4S. According to the Brazilian tech blog Olhar Digital, TIM stores in several Brazilian shopping centers will start selling the device Apple’s latest device at midnight tomorrow, with staff starting to distribute tickets at 10pm on Thursday 15th. TIM is also throwing in an additional reward for the first 100 clients to put their hands on the iPhone 4S: a copy of Steve Jobs’ biography by Walter Isaacson. TIM isn’t the only operator to start selling the device at midnight: so will its competitors Claro, which will welcome customers from 9:30pm, and Vivo, which is organizing special events in three stores. The reason why operators are putting so much effort into promoting the launch? It could be that the iPhone 4S is launching without one of its major assets, Siri. Although Siri will be pre-installed on devices sold in Brazil, ‘she’ doesn’t speak Portuguese yet. Another reason why the launch may need an extra push is that price points won’t get Brazilian customers overly excited, to say the least. While Claro and Vivo haven’t confirmed its pricing yet, TIM’s price range will vary between R$1899 and R$2.508 (US$1012-1336) depending on plans, Olhar Digital reports. Brazil’s other mobile operator Oi hasn’t confirmed any physical pre-sale yet, but already informed it would sell the iPhone 4S for R$1.999 (US$1,065). While this isn’t cheap by any means, this is still better than the prices observed by Brazilian customers in a few stores a couple weeks before the iPhone 4S’ official launch (see our post ‘iPhone 4S starts selling for $1900(!) in Brazil‘). Brazilian customers who bought an iPhone 4 8GB this month are also likely to experience buyer’s remorse. As we reported, the device started selling for up to R$1,799 (US$970) without a data plan, and we wouldn’t be surprised to see prices go down following the launch of the iPhone 4S. 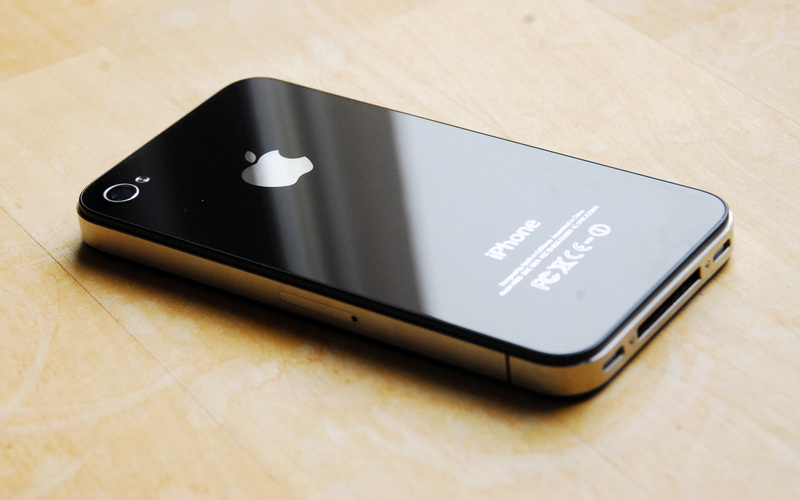 Besides physical stores, the iPhone 4S will also be available online – through pre-orders and purchases on mobile operators’ websites, but also on the Apple Store itself. Apple, who doesn’t have any physical store in the country, will sell unlocked iPhone 4S in its Brazilian online store, though prices aren’t confirmed yet. After years of near-neglect, it’s been a very busy week on the Apple news front in Brazil. iTunes’ offer was considerably expanded a couple days ago when Apple quietly launched a film section and a Music Store, which both include Brazilian content to meet the taste of local users. Apple also simultaneously launched iTunes Match in the country, turning Brazil into the second country to get access to the service. A mere hours after launching these new features, Apple also made the Apple TV available for the first time in its Brazilian online Apple Store (see our post). And that’s not all: as we reported yesterday, further news may be coming, with a body of evidence seemingly pointing at an imminent launch of a Games category in the Brazilian App Store. Although Brazil got the most of Apple’s attentions, and the only Latin American country to get iTunes Match, the rest of the region also got its fair share of Apple news, with iTunes expanding its Music and Film Store to 15 Spanish-speaking countries across Latin America (see our story). Again, it’s just a start: besides Brazil, the iPhone 4S will also hit the shelves in Chile this Friday. According to the Chilean tech blog FayerWayer, official Apple distributors will start selling the Apple TV in Colombia, Chile and Argentina no later than next week. Do you think Latin America has finally entered Apple’s radar? Share your impressions in the comments.